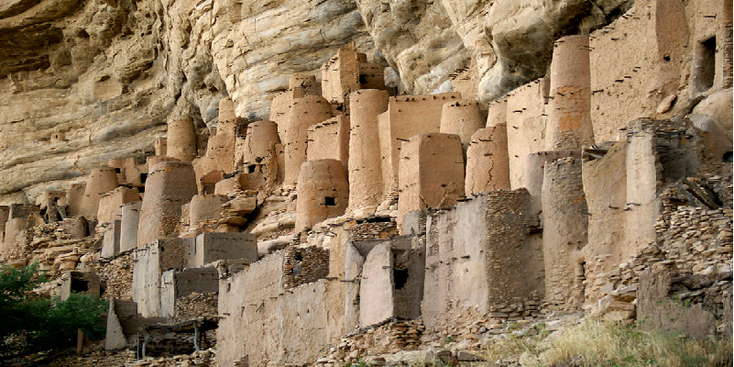 Best way to explore this area is to do a trekking with a local guide through the "Dogon" area where no motorized traffic is present. To get a good idea of the landscape, the inhabitants and the way of life, it is best to go a day or three at least. The best time of the year is between November to March. 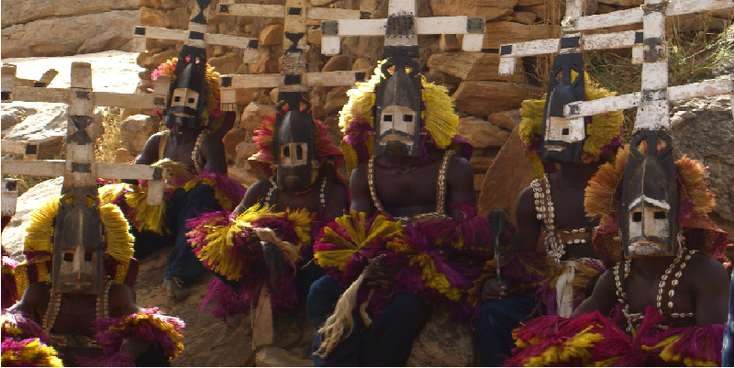 Always try to get a real Dogon as a guide - first, he knows the region, the people and speaks the language. In addition, the money will flow back into the community. Price: 24,000 CFA a day = 24,000 x 3 = 72,000 CFA (2012). Transport - 45 km back from Sanga to Bandiagara. 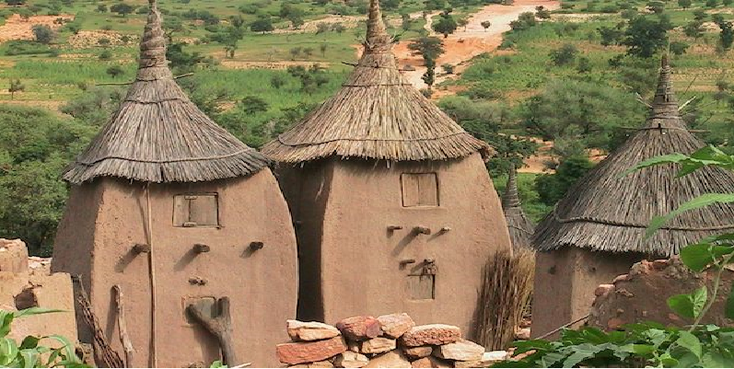 Day 1: TIRELLI: Campement "Femme Dogon"
Day 2: BANANI: Camepment "El Camaleon".